Cost? : Tour tickets, good for both days, are $25 per vehicle in advance. Tickets are available for purchase during the tour for $30 or you can also choose to pay $10 per farm (available for purchase at all of the farms during the tour). Groups of cycles count as one vehicle. Tickets can be purchased online at www.carolinafarmstewards.org/mft/ or at Whole Foods Market or City Roots Farm in Columbia. More information? : Complete information about the tour and the farms, with interactive maps and driving directions to each farm, plus tour tickets are available at www.carolinafarmstewards.org/mft/. 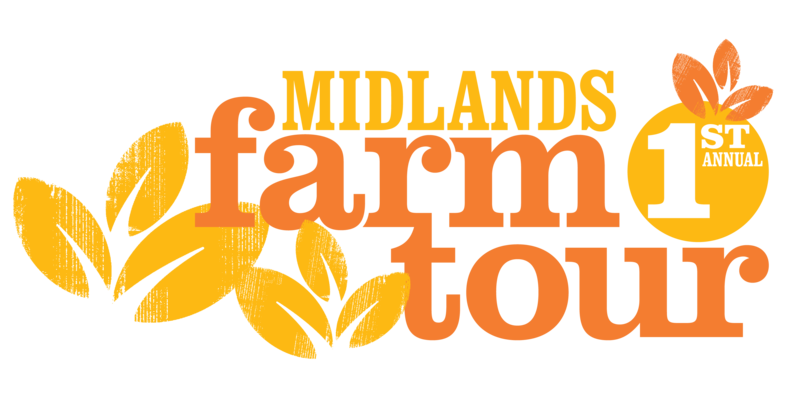 The tour, sponsored by the Carolina Farm Stewardship Association and Whole Foods Market, features 10 farms.See lots of cute baby farm animals, including baby chicks, pigs and goats. Learn how they grow vegetables, fruits, flowers, mushrooms and more without harmful pesticides. And, teach your children where their food comes from, play fun farm games, and more! The tour is self-guided. Choose the farms you want to visit on the interactive map or downloadable brochure athttp://www.carolinafarmstewards.org/mft/ to plan your tour. Visit any farm in any order. No pets allowed. The tour is rain or shine. And, don’t forget to take a cooler so that you can bring home some of the farm fresh products for sale at many farms! Proceeds from the tour support the work of the Carolina Farm Stewardship Association. Thank you to Whole Foods Market for sponsoring this tour.